A 1965 TV Guide signed by Larry Storch, and Melody Patterson. 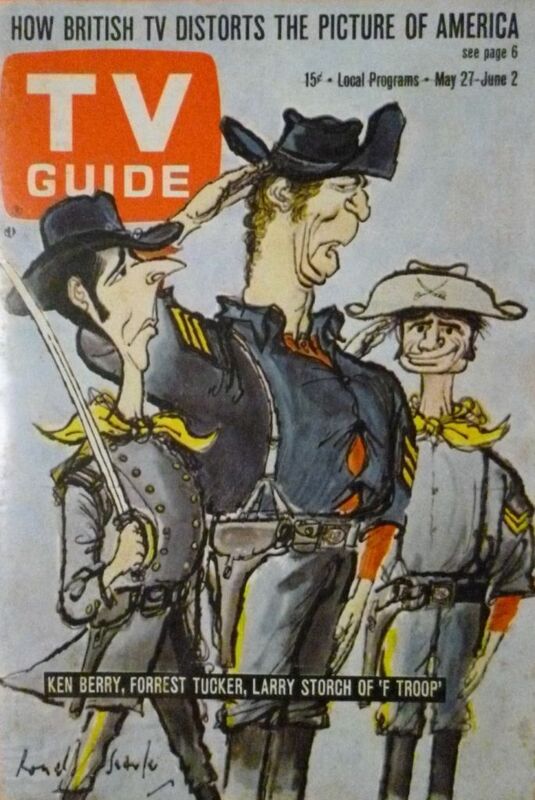 F Troop is a satirical American television sitcom about U.S. soldiers and American Indians in the Wild West during the 1860's that originally aired for two seasons on ABC-TV. It debuted in the United States on September 14,1965 and concluded its run on April 6, 1967 with a total of 65 episodes. The first season of 34 episodes was filmed in black-and-white, and switched to color for its second season. (*) Additional TV guides from this series will be listed here as well!